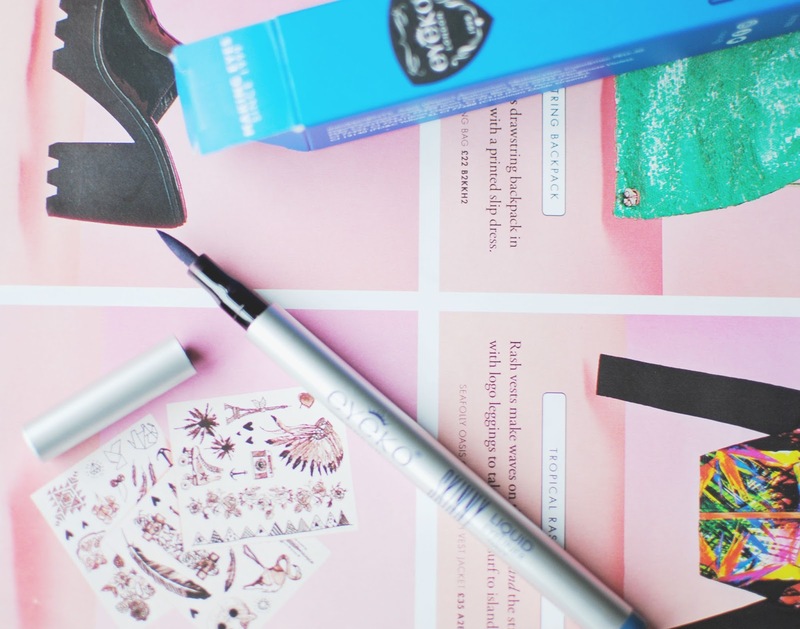 I am very guilty of picking up a magazine purely for the freebie that it may contain and when I saw that Glamour Magazine which is only £2 to purchase were giving away Eyeko navy and black eyeliners which were originally £12. 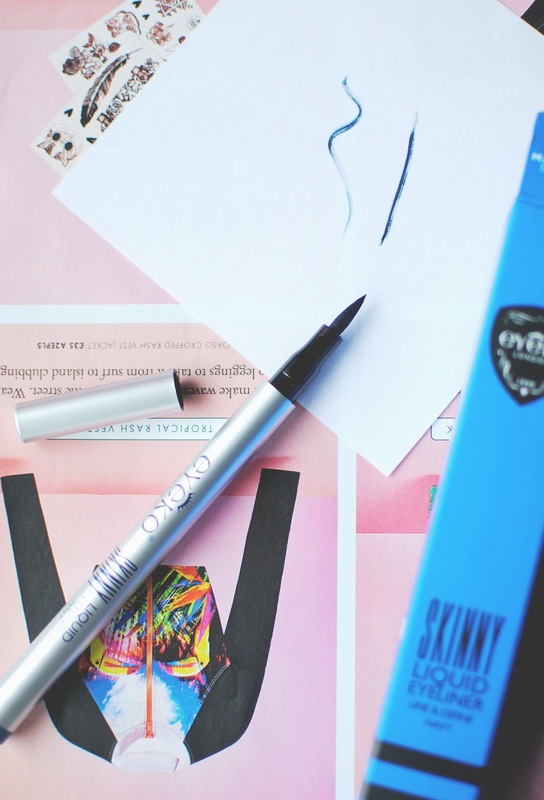 Eyeko are a brand that I have never tried anything from and if Alexa Chung had her own creations with them I believed they must be good. I picked up a navy as I thought it would be a nice change from the usual black that I usually would wear and whilst I loved the shape of the nip and the thickness of it the product refused to come out even when I shook it the product refused to come out. I thought that maybe I had just picked up a dodgy eyeliner but this seams to be an occurring opinion amongst anyone that has tried it and you can even see in the images above where I have tried it out how it works one minute and appears dried up the next. When trying to create a cat flick it ends up ruining your flick as you have to apply extra pressure on the nip. I defiantly wouldn't have liked to payed the full price for this eyeliner! Have you tried the Glamour freebie? I'm glad I never got the magazine as the black one was always out of stock! I've heard a lot of people say the same thing too, unfortunately! I received this one together with my beautybay purchases. Currently not too impressed with this cause it's quite dry as you mentioned! Mine works really nicely. I don't do cat eye flicks though, just along the top.